When the massive school funding formula package passed last year, Republicans asked for so-called “mandate relief,” including more flexibility in PE requirements. But now that the massive reform package has been implemented, some Democrats are trying to walk back that relief. One of the biggest changes Gov. Bruce Rauner proposed in today's budget address is making local school districts bear the costs of teacher pensions. Last August, when Gov. Bruce Rauner signed the historic school funding reform plan, the celebration was like the political version of a wedding. Lawmakers from both parties got dressed up, made lovely speeches, and posed for pictures next to that one cousin they never really liked. Less than an hour before Gov. Bruce Rauner was scheduled to deliver his State of the State address, lawmakers in the House and Senate voted to override his veto of a small, technical school funding bill necessary to implement the massive school funding reform that Rauner has listed as his main accomplishment. Gov. Bruce Rauner has claimed his top accomplishment of last year was transforming the way Illinois funds public schools. But the dollars pledged by that new law haven’t been distributed. 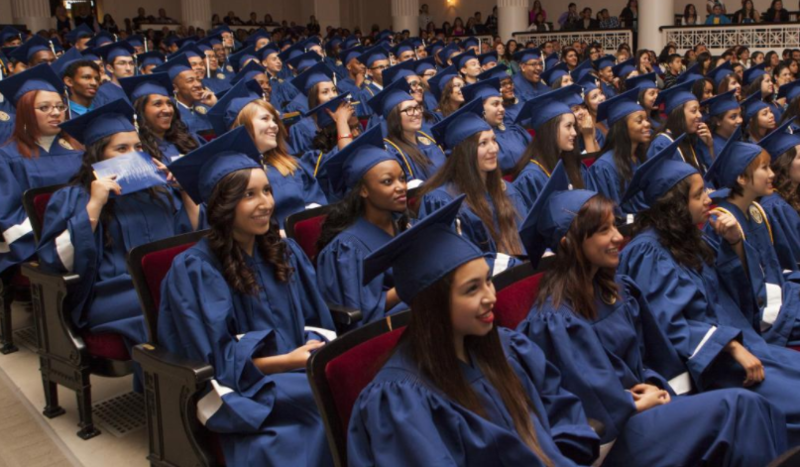 Instead, Rauner and state agencies have been focused on implementing and expanding a tax credit program for private schools, added to the bill at the last minute to get the governor signature. Last week, Gov. Bruce Rauner used his veto authority to make big changes to a small clean-up bill that’s necessary to enact school funding reform. 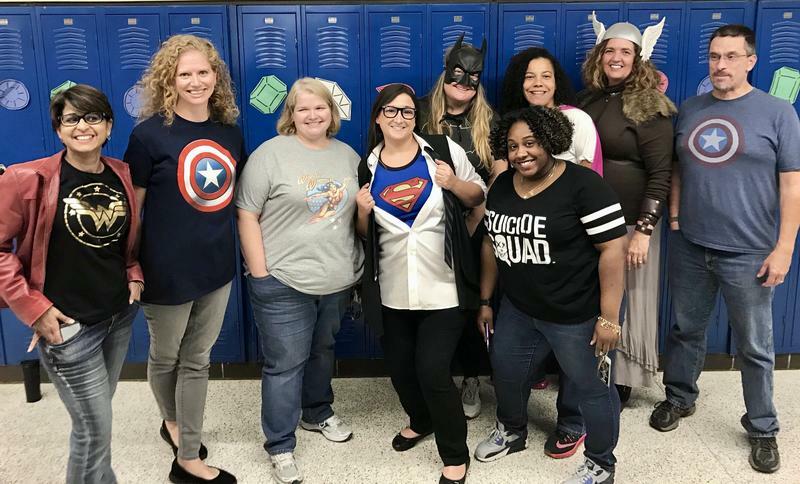 Democrats who pushed the reform warned that Rauner’s action could derail the bipartisan effort to make school funding more equitable. As it turns out, they’re not the only ones upset about it. If you’ve seen Gov. 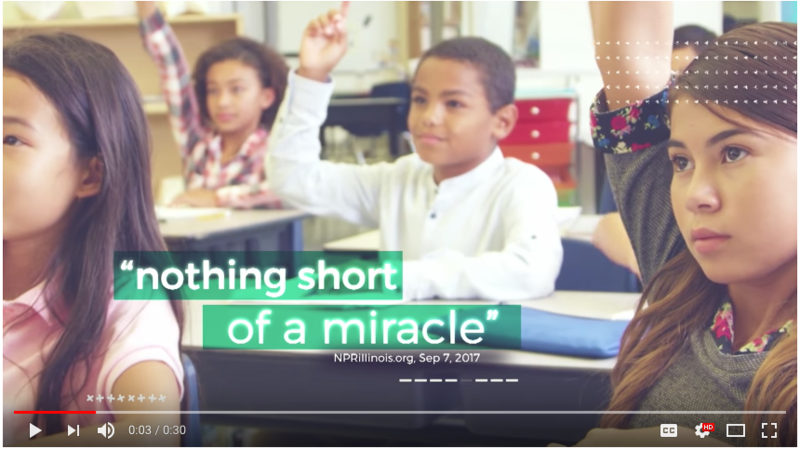 Bruce Rauner’s campaign commercials, you might think the school funding issue was settled last summer. But as often happens with complex legislation, it was followed by a “trailer” bill cleaning up some technical language. Rauner decided to use his veto pen on that bill to lower the bar for private schools to qualify for a controversial tax credit program. 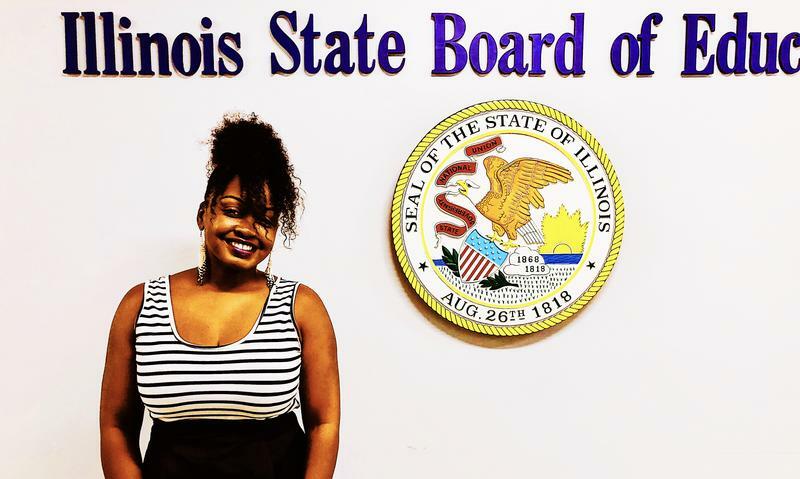 Now, the Illinois State Board of Education is warning that “time is of the essence” for the General Assembly to uphold the trailer bill (Senate Bill 444). 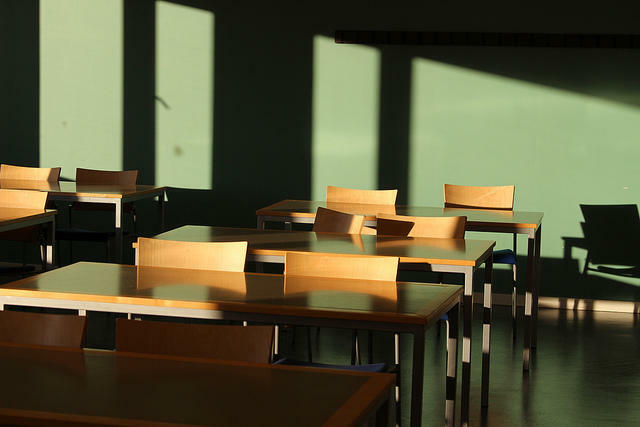 Without it, nearly 200 Illinois school districts will lose out on equitable funding. Gov. Bruce Rauner has boasted that fixing Illinois’ woefully inequitable school funding formula was his top accomplishment of the past year. 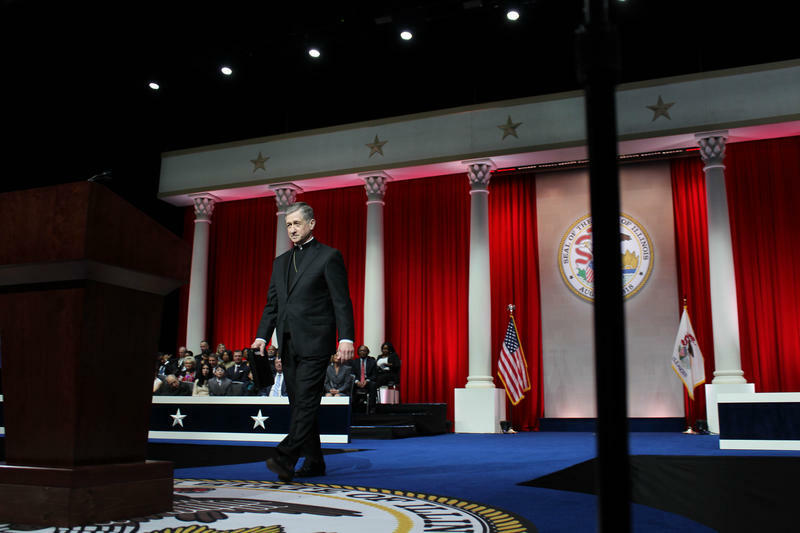 But yesterday, he struck down a measure needed to implement that reform, by issuing an amendatory veto of a relatively short, simple “trailer” bill drafted to ensure that the 550-page reform plan squared up with the financial models lawmakers had approved. Illinois lawmakers ended the state budget impasse and made big changes to how the state pays for public schools. The state also wrestled with the debate over abortion and a nationwide rise in hate incidents. 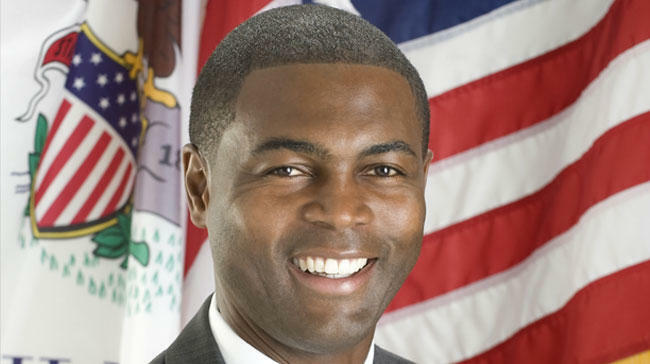 Commentary: Gov. 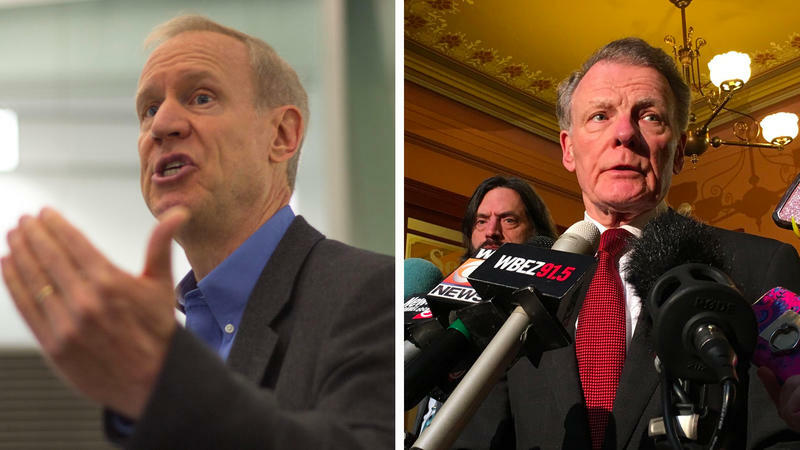 Bruce Rauner’s Madigan fixation may reflect how little the governor has to show for his first three years in office. 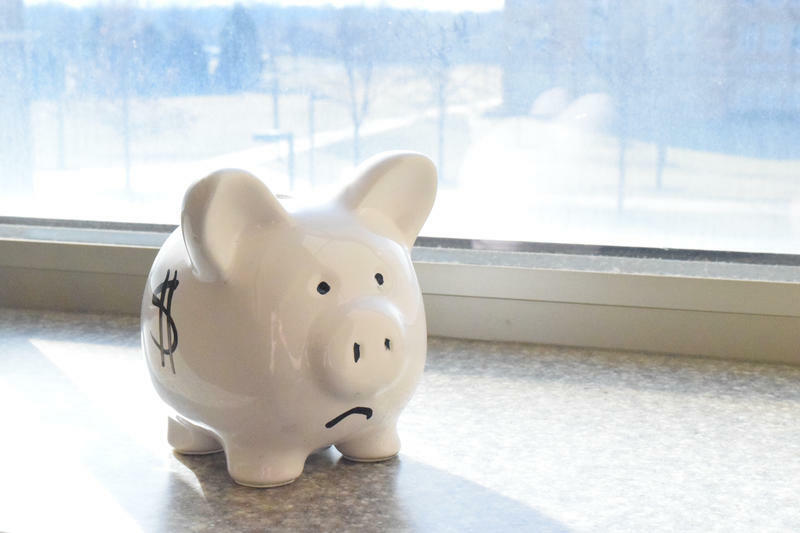 The debate over school funding dominated much of the legislative session, and concluded with a compromise plan designed to send more state funds to the neediest districts. 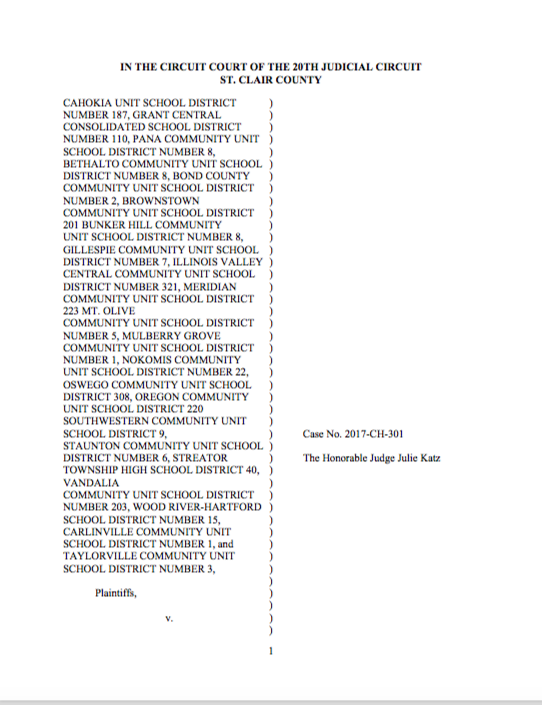 But so far, those districts haven't gotten any extra funds. 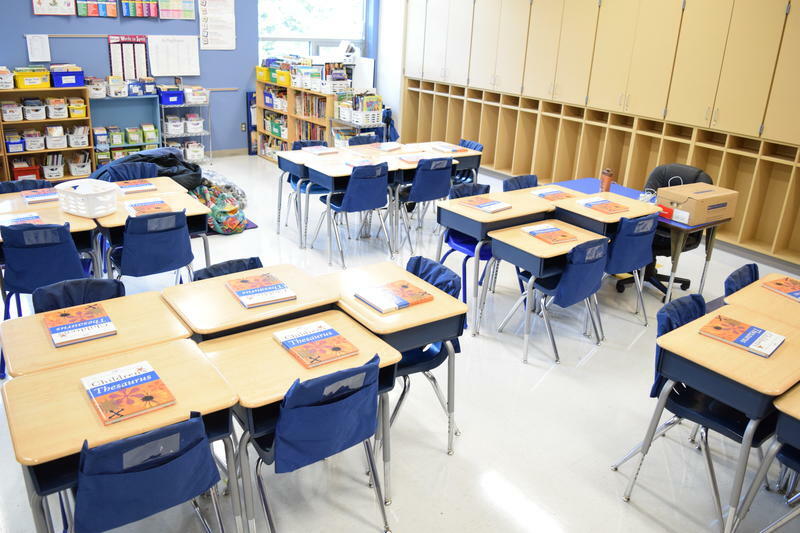 Illinois’ new school funding plan — approved in August and hailed as a historic change — relies on the legislature to give every school the same state aid it got last year, plus push another $350 million through a new formula. That $350 million is crucial because it’s the part designed to address the inequity that has plagued Illinois schools for decades. 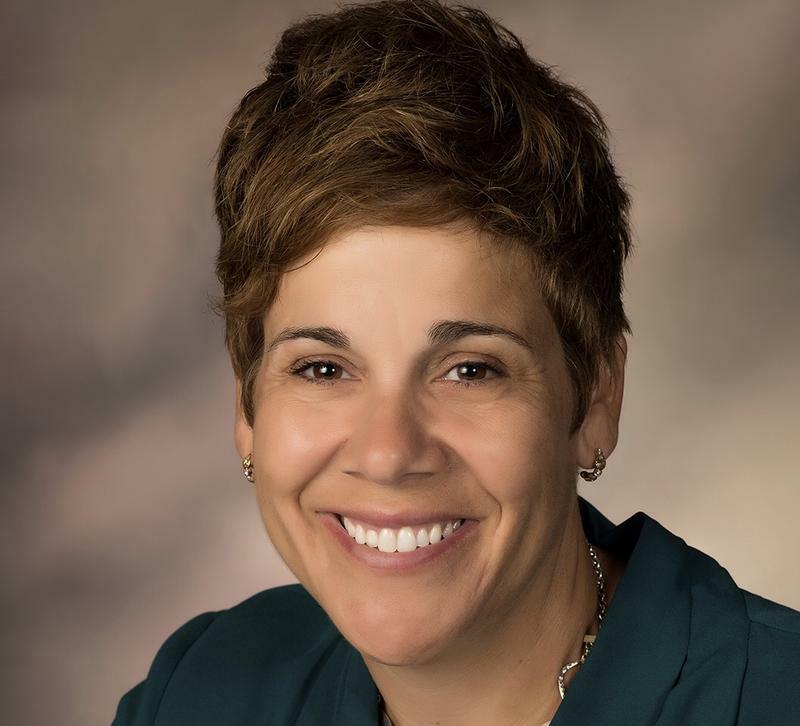 State Sen. Jennifer Bertino-Tarrant, a Democrat from Shorewood, wants to make sure lawmakers don't skip that step. One promise heard repeatedly during debate over the Illinois’ new school funding plan was "no red numbers," meaning any legislation that would make a district lose money was dead on arrival. Last month, in a rare bipartisan compromise, lawmakers approved a new plan that contained “hold-harmless” protection. 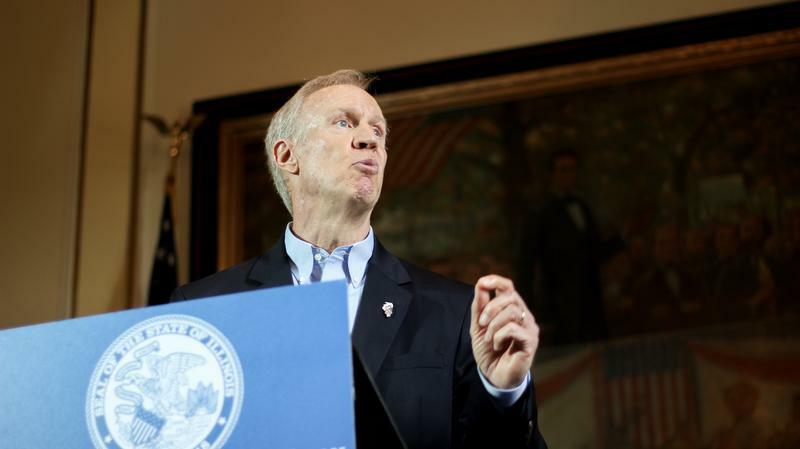 How Much Credit Should Rauner Get For School Funding? Gov. 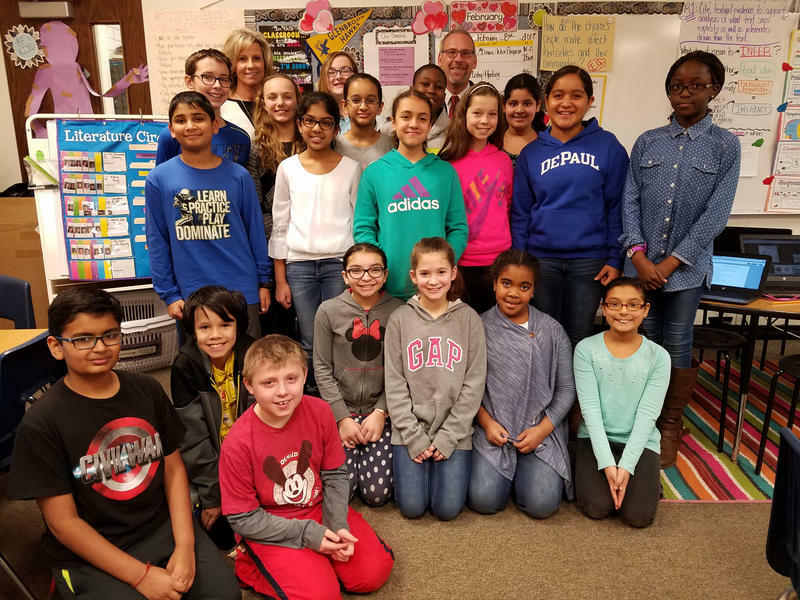 Bruce Rauner took sort of a victory lap visiting a Catholic school, a traditional public school and a charter school to celebrate the Illinois General Assembly's approval of a historic school funding overhaul. The Illinois legislature on Tuesday approved a major, bipartisan overhaul of the way Illinois funds public education. Illinois' current school funding formula dates back to 1997. And efforts to replace it with something more logical, more fair, and more equitable? To hear lawmakers tell it, those also date back almost 20 years. 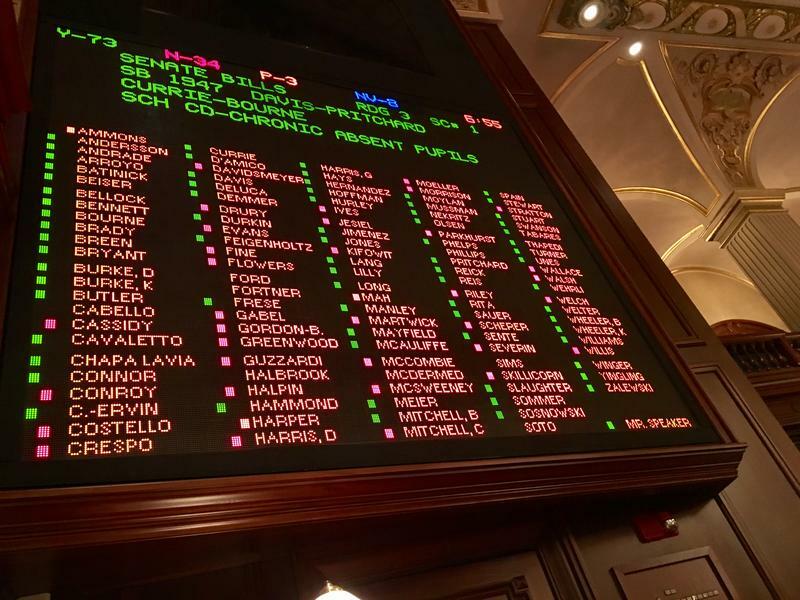 It took three different votes, but Illinois may finally be getting the new school funding formula lawmakers have been working on for the past few years. 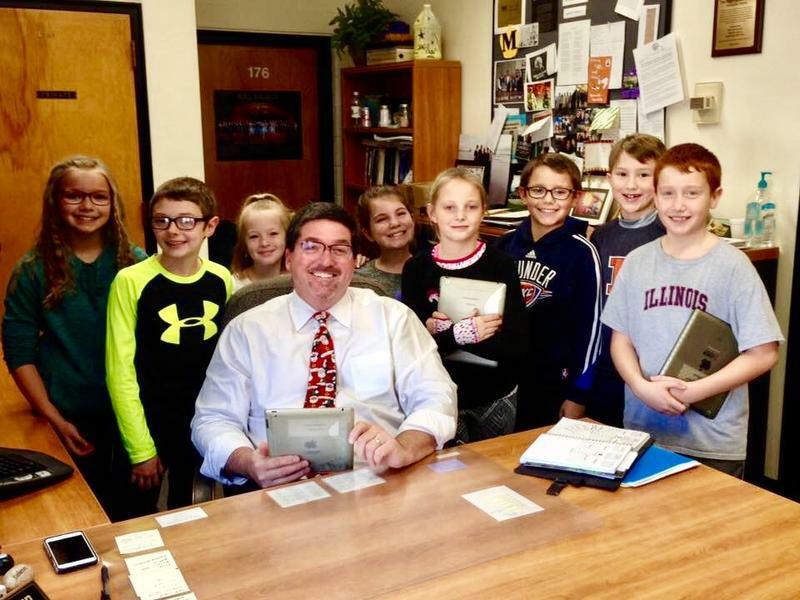 The state House of Representatives yesterday approved a new evidence-based school funding plan. 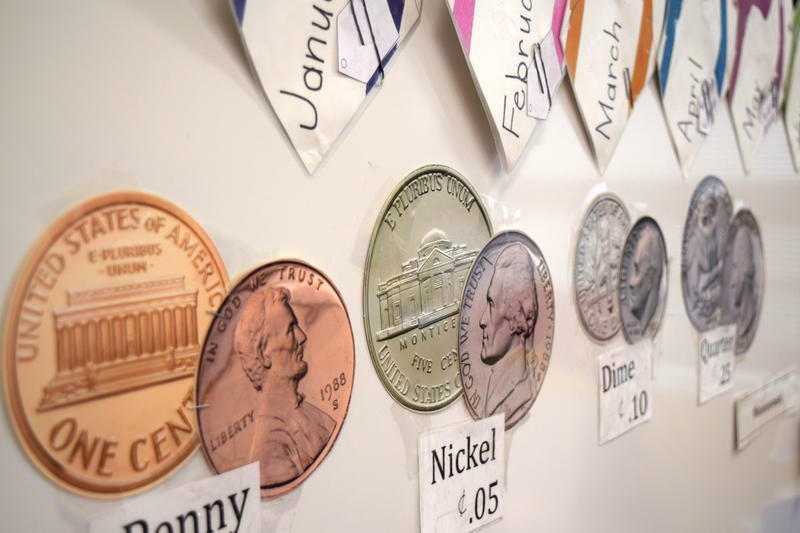 It's a compromise, containing most of the plan Democrats proposed months ago, plus a new $75 million program that would provide tax credits to organizations offering private school scholarships. Teachers unions criticized that provision. 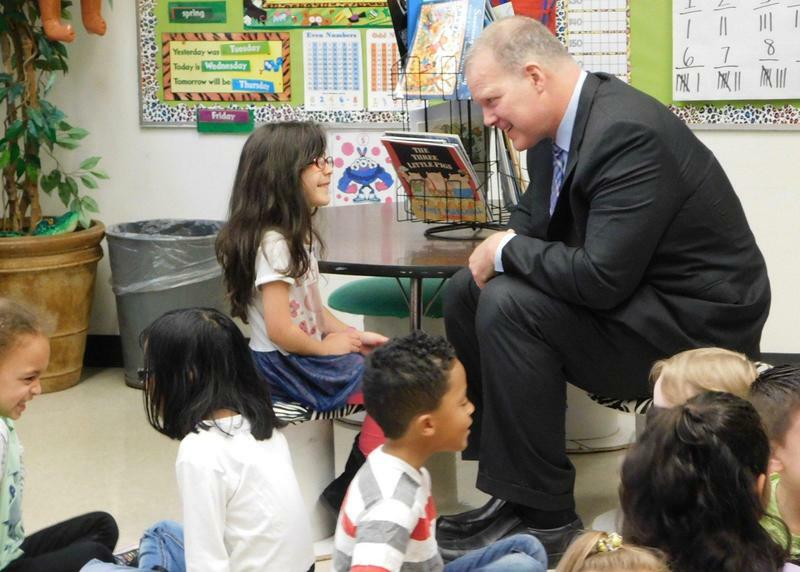 But Representative Bob Pritchard, a Republican from Hinckley, says this school funding reform measure is one of the best things the Illinois House has done. 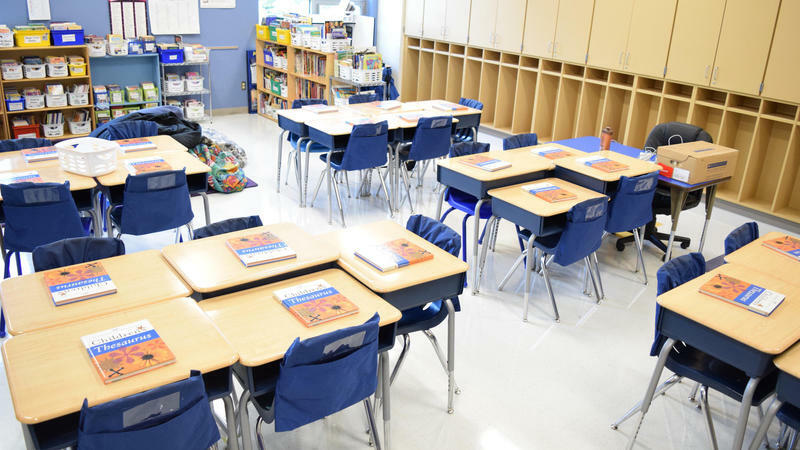 Senate Bill 1 was supposed to help Illinois cure its chronic case of inequitable school funding. The Democrat-sponsored measure has become a partisan controversy that's now preventing state money from being sent to schools. 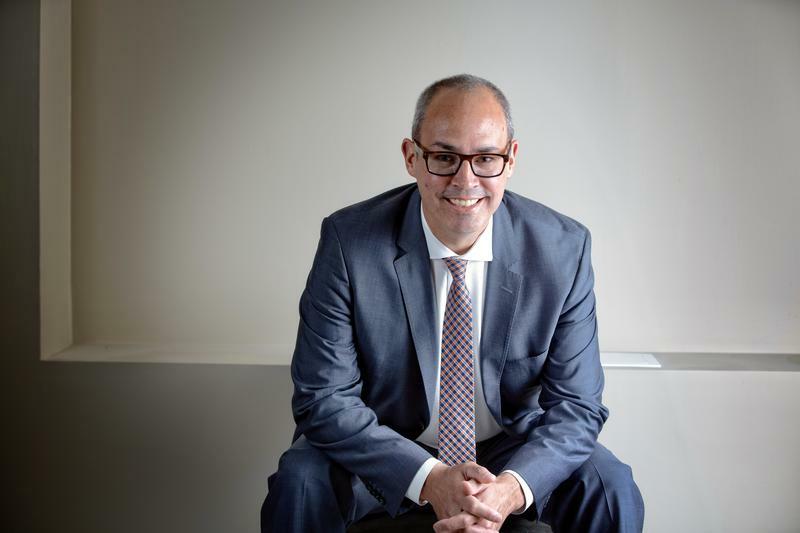 Legislative leaders yesterday announced they'd achieved compromise, but reports that the deal includes a $75 million tax-credit program for private school tuition scholarships is drawing criticism. 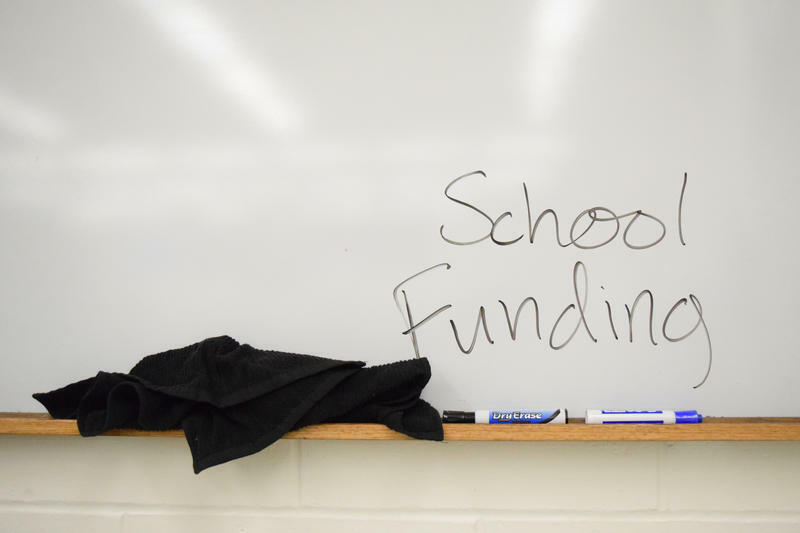 What we know as of Friday about a tentative compromise among legislative leaders on school funding, along with the continuing controversy over Governor Rauner's response to a political cartoon posted by the Illinois Policy Institute. WBEZ's Tony Arnold and WTTW's Amanda Vinicky join the panel. 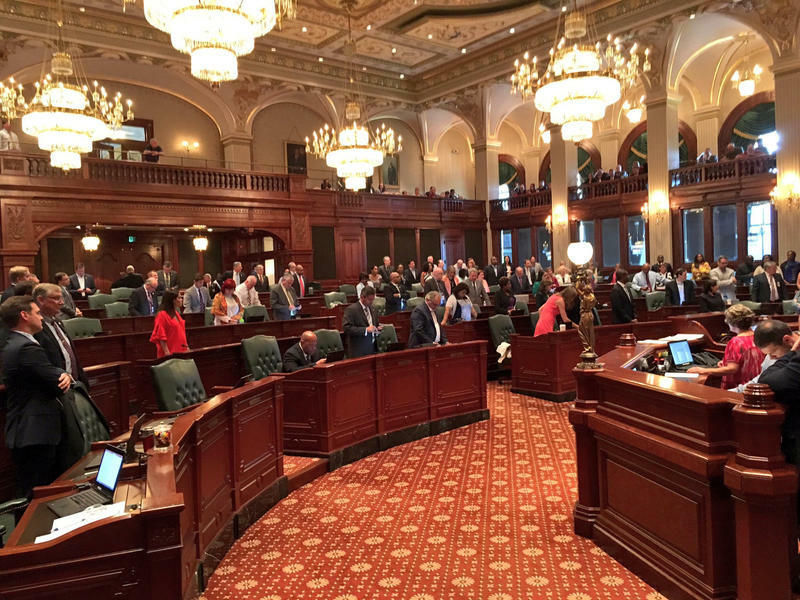 School funding stalled a while longer yesterday as Illinois lawmakers instead cast symbolic votes. Democrats took the changes Gov. Bruce Rauner made to their evidence-based model, turned it into a replica bill, then ran it for a vote. It was an exercise designed to prove that Rauner couldn't get enough support to uphold his plan. Gov. 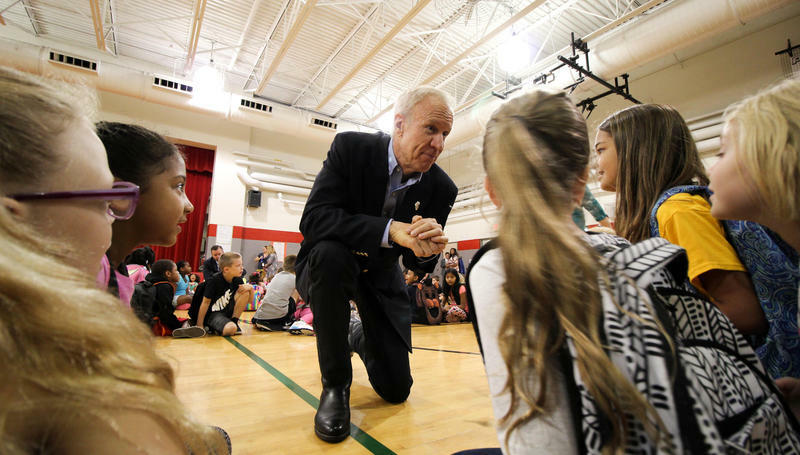 Bruce Rauner has been drumming up opposition to the Democrats' new school funding plan, known as Senate Bill 1, by touting how much more money each district would receive under his plan. 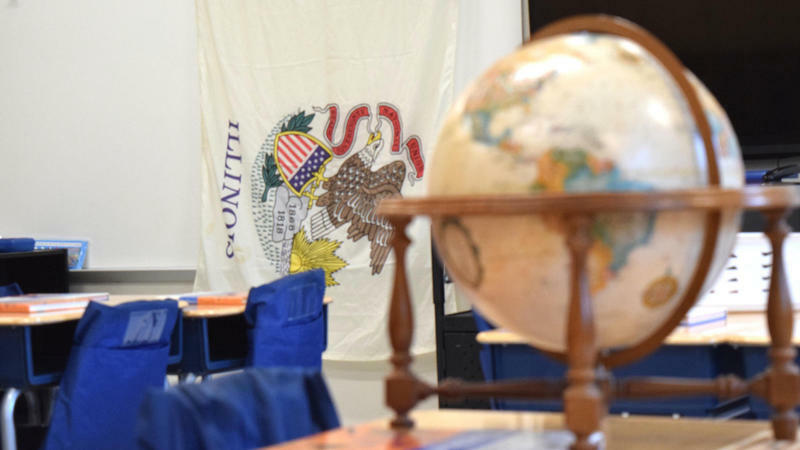 He points to Elgin U-46, the state’s second largest school district, as the biggest winner: That northwest suburban district would gain about $15 million if lawmakers approve Rauner’s amendatory veto. 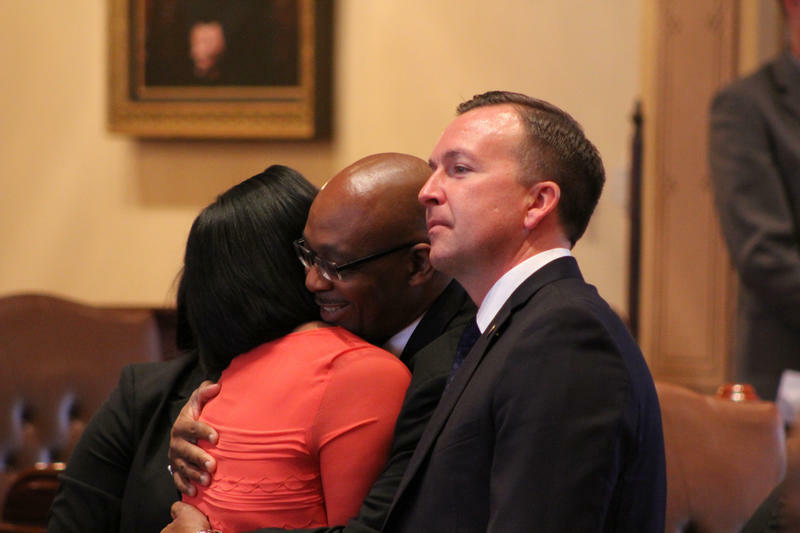 So that district's CEO, Tony Sanders, must be rooting for Rauner's plan, right? 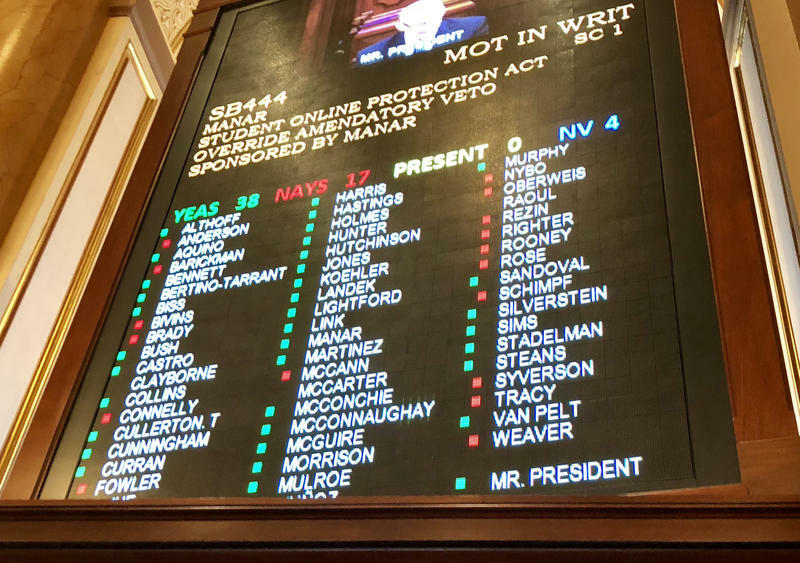 The Illinois State Senate spent Sunday in session, where Senators voted 38 to 19 to override Gov. Bruce Rauner's veto of the new school funding bill. The override wasn't a surprise, because this new evidence-based funding plan had originally cleared the Senate with a veto-proof majority. The House, however, represents a higher hurdle, where Democrats will need Republicans to vote with them. That vote is scheduled for Wednesday. 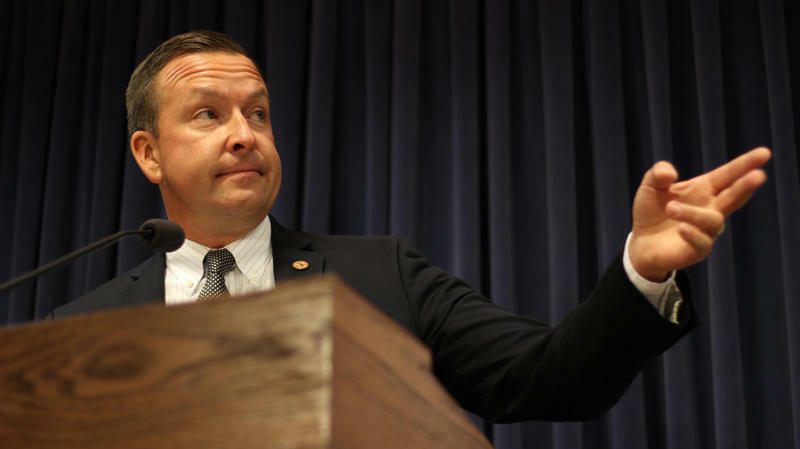 Sen. Andy Manar, the Bunker Hill Democrat who sponsored the measure, says he'd rather negotiate a compromise.